Acclaimed film actor Kamal Haasan met Kerala Chief Minister Pinarayi Vijayan here on Friday and declared that "saffron" -- an oblique reference to the BJP and RSS -- was not his colour. And stating that he won't align with any political party in Tamil Nadu, the superstar told the media that he would be on his own politically. "My colour is definitely not saffron. That much I can say now," Kamal Haasan told the media, in response to questions whether he would swing to the Left or Right. "I have got huge support from people as an artiste. If I am able to get half of this in politics, then I will be successful," said the 62-year-old who has acted in more than 220 films. Asked if he would discuss his political moves with the AIADMK, he said: "If I had to do that, then I did not have to wait. All that I needed to do was to clap my hands." Replying to a question on why he chose to make this statement after meeting Kerala's Marxist Chief Minister, he said Communist leaders had always been his heroes. "You just look at the statistics of Kerala and it's comparable to any European country," he said. When journalists persisted and asked if he would align with the Left, he shot back: "It will happen soon. I want to be in the middle of things and do not want to lean to any side." On the political situation in Tamil Nadu, he said the Governor should intervene -- a demand also voiced by the opposition in the state. The Tamil Nadu opposition wants Chief Minister K. Palaniswamy to prove his majority in the Assembly. 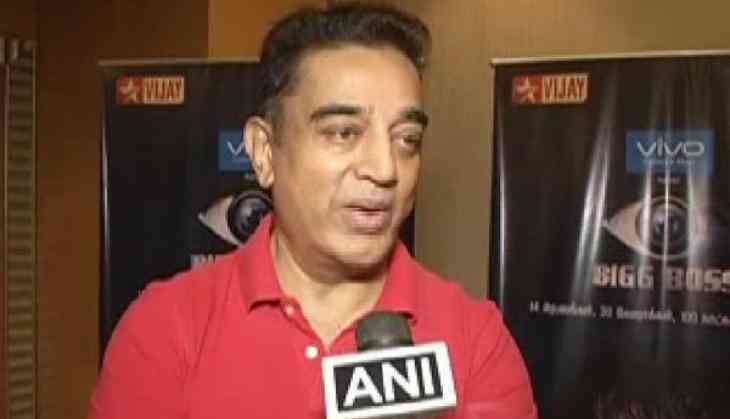 Earlier, Vijayan said in a Facebook post that he and Kamal Haasan have known each other for long and they always meet whenever the actor visits Kerala. "Today's meeting was the first one after I became Chief Minister. Even though the visit was personal in nature, we discussed south Indian politics and also the overall political situation in Tamil Nadu," Vijayan said. The Marxist leader received the acclaimed actor, dressed in a black shirt and dhoti, at the car porch. Also present at the meeting were Vijayan's wife Kamala and other family members. Kamal Haasan has in recent times made comments critical of Tamil Nadu's ruling AIADMK party. He also recently shared a stage with DMK leader M.K. Stalin.